The left, who woulda thunk it? I can't quite believe it. This is his clubbier foot, which would, I think, make a suspensory issue less likely. The suspensory diagnosis makes sense in that he was not lame when that leg was on the inside of the circle on the lunge. Suspensories often show up when the leg is on the outside, I think. But remember he used to refuse to lunge counter-clockwise -- maybe it's been bothering him awhile? For those of you thinking maybe he was overusing his left to compensate for pain in the right, keep in mind he went sound after the block, he did NOT go lame on the right front as you might expect if that were true. In fact, the vet noted that Riley was compensating for the pain on the left by throwing his weight on the right front. So that foot must be tougher than it looks. He also had some soreness in the left hind (when it rains it pours), but he worked out of it. We're going to Mid-Atlantic Tuesday for an ultrasound, and I think I'll ask for some x-rays further down on that foot, and maybe the left hind. Then, if the ultrasound shows a problem, shock wave therapy. When Riley was a yearling, his right hind blew up and they found a tiny spur which New Bolton said was not clinically significant. Still the insurance company exlcuded it from coverage. The right front was excluded after the surgery. It appears I'm about to have the left front excluded. I bet if I ask Mid-Atlantic to x-ray the left hind, they'll exclude that too. So that will pretty much close the books on all of Riley's legs :-). Previously, when Riley started cribbing, I had him scoped for ulcers. Even though that came back negative, the company excluded his whole gut system for 2 years. He's now covered again, but we're rapidly progressing toward uninsurability :-). Well, DANG it! How'd he do THAT?? Guess this is one where you'll never know... or maybe that's par for the course with a suspensory? (i.e. not as dramatic as a bowed tendon) I have heard VERY good things about shock wave so I will be keeping my fingers crossed. I'm so sorry, though, that your training progress will be interrupted. I don't quite get the deal with your (stupid) insurance co. Did they pay for his RF surgery and THEN exclude anything further? Exclude the gut AFTER the scope? Or did they just go, oh, well, you had this diagnosed, have fun with that lady... Either way, it does sound like they're picking off his parts one-by-one and all that will be left is his ears or something! Wow... at what point is insurance just money that you'll never see for anything? Riley is one special boy. Best wishes for you guys. Oh My SB, the insurance money is the best $$ I ever spent! It covered surgeries and a bunch o stuff. So long as it covers colic surgery I'll likely continue it. And, I need to say, my insurance company -- Great American -- has been WONDERFUL. The exclusions are pretty much industry standard. They have been super throughout the years I've used them. thank goodness that insurance isn't like that for humans... ugh! I know lots of people who would be uninsurable! Good grief, I wouldn't be paying for insurance then if you're gonna havta pay for things yourself! That's awful. 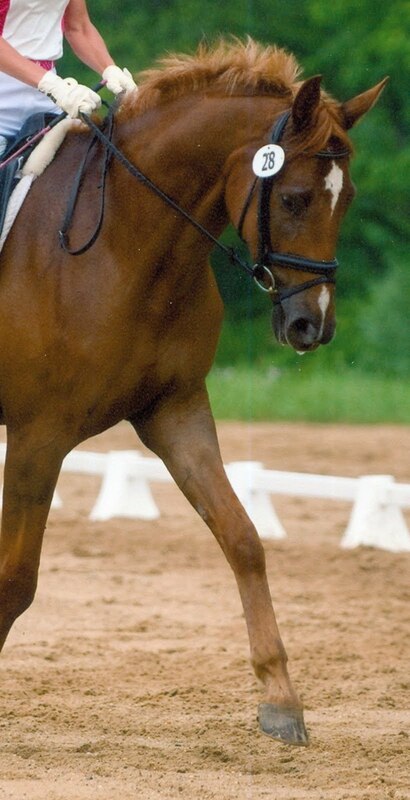 That said, I had a TB gelding who tweaked something in his foot, never found out for sure if it was the suspensory, or tendon, he got weird windpuffs, and when the vet blocked him, she only had to block up to the top of the pastern and he went sound. It was very weird... it was also very weird that he was 100% the entire time except for like ONE day (the day that prompted me to take him to get checked out--i think he just tweaked his foot running around like crazy in the mud after a thunderstorm and wasn't related to the windpuffs). We never ultrasounded (as a poor college student my pockets were only so deep). I gave him like 6 months off, the windpuffs went again, and mystery lameness never returned. Don't you love horses? You can insure the horse.... except for the areas htat may become injured. So helpful. I hope nothing major turns up. Good luck, Riley! Well, so far insurance has benefitted me greatly! My arab gelding has had suspensory issues all his life. Although his started with a traumatic tumble down a dry lake bed. Periodically I've had to give him time-off because it becomes sore. I haven't tried shockwave therapy, but a soft cast can do wonders. So do sport medicine boots!!! So glad to hear your vet is recommending shock wave. Too many people go straight to stem cell which doesn't have the pain relief that shock wave does. My husband does gangs of shock wave every day at the race track, it's a pretty cool thing. Glad to hear you got a diagnosis. Nothing more frustrating than a mystery lameness that isn't ever diagnosed. Sounds like the hind-end thing could be a hock, which as you know is super common in those correctly-moving dressage horses. Good luck! Good news, bad news. At least it's not the foot he had the surgery on, so that's good. Suspensory issues can be a worry, but there are some good treatments out there, to that's bad/good. Mid-Atlantic is a good clinic. My PJ was there when he colicked. New Jersey Equine is closer for me, though, so for lameness issues, I'd probably go there. (20 minute drive as opposed to about 50 minutes to Mid-Atlantic. I am so lucky to have two such super vet clinics close by. I am sure you are going to get both excellent advice and excellent care for Riley. Here's hoping the ultrasound gives you further clarity. Is it possible that he's popping a splint? My young horse popped a splint, under the knee, high on the inside. It was on the leg with his clubbier foot (he's a bit high/lo, like Riley). Didn't make him lame but it does to some young horses. Just another possibility. I've spent a fortune for diagnostics and now refuse to do it unless it seems pretty serious. Last year, my horse had a mystery lameness on his left front that miraculously cleared up after some poking and prodding by the vet & some prescribed rehab work (no radiographs). Seems like a lot of things get better with just rest, time, and methodical, slow rehab. They don't heal too much quicker when you throw money at the injury. I have my guy insured too, but usually just do out of pocket unless the expense is major to prevent having parts of him become uninsurable.